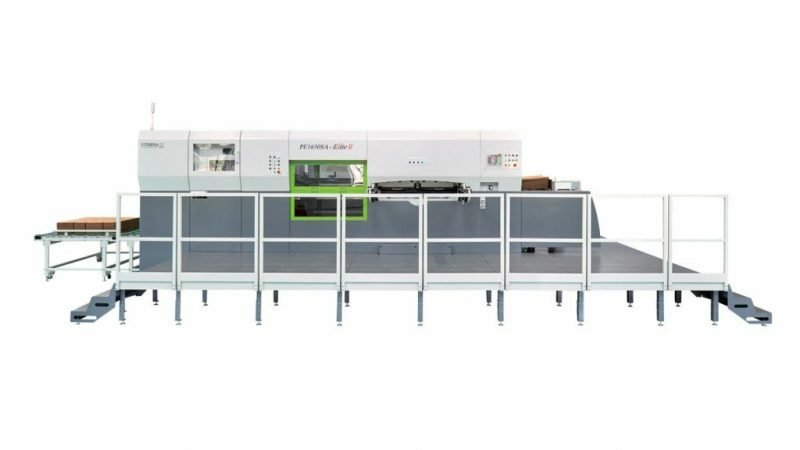 Automatic Diecutting and Creasing Machine with Stripping Station and Lead Edge Feeder. Improved higher quality index optimizes motion curve and ensures more smooth performance. Gearing wheel with optimized design and space facilitates higher engage precision with less friction noise. Application of double-section-and-double-row chain to transfer and feed papaer enrures better stability in each operation. Absolute sealing and dust-proof design decreases maintenance frequency and cot as well as raise the productivity. Utilize 30% less parts in the optimized index performs much more stable with less chance of fault. New technology of surface treatment has been applied in the lead edge feeder lifter with addition of wheel to ensure smooth feeding, accurate alignment and reduce scratch on surface.